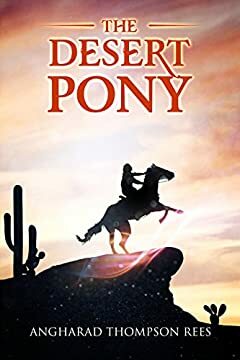 A flying pony, a strange old sorcerer, and a young boy with a heart as big as the desert. Young Hannan is a child goat shepherd with an unambitious life. Since losing his parents within the wild and perilous sands of the desert, he does nothing more than move his goats from place to place. But his contentment is disturbed when a strange sorcerer encourages him to embark on an adventure that sees Hannan leaving all he knows behind. Hannan reluctantly begins his quest; unaware his journey will take him deep into the Sahara Desert on a flying pony. But with adventure comes danger, and Hannan must find all his courage to solve the magical and deadly riddles awaiting him. Does he have what it takes to fulfill his quest and find his parents, or will he return to his normal life empty hearted?